Posted on Thu, Jan 12, 2012 : 6:50 a.m. The City of Ann Arbor's trash and recycling collection programs will provide services without interruption on Martin Luther King, Jr. Day, Monday, Jan. 16, 2012 and throughout the week. The Municipal Center offices at 301 E. Huron in Larcom City Hall and the Justice Center, including the 15th Judicial District Court, will be closed fir the holiday on Monday. Safety services and utility operations will maintain 24-hour schedules. On a related seasonal note, undecorated Christmas trees may be dropped off at no charge to the parking lot adjacent to the Drop-Off Station at 2950 E. Ellsworth, around the clock and sevcen days a week, through Tuesday, Jan. 31, 2012. Beginning Feb. 1, Christmas trees must be delivered to the Drop-Off Station during normal operating hours, Tuesday and Thursday, 8:30 a.m. to 6:30 p.m. and Saturday, 9 a.m. to 6 p.m. for a small charge in addition to the $3 user fee (call 734-971-7400 for more information). The trees may also be cut and tied into a bundle or placed inside a compost cart to store until the weekly curbside Compostable collection resumes on Monday, April 2, 2012. Since wreaths and evergreen roping are generally made with wire or plastic backing, these items should be placed in trash carts. Additional evergreen tree recycling options are posted at www.a2gov.org/compost. For 24-hour information on the city's solid waste services, please call 734-994-7336 or visit the city's web site at www.a2gov.org/recycle. 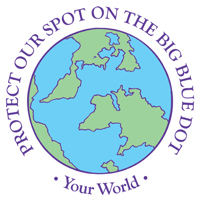 Your World provides local environmental information to our community. Contributing partners include: Washtenaw County’s Environmental Health Division; the nonprofit Recycle Ann Arbor; the City of Ann Arbor’s Public Services Area, Natural Area Preservation, Systems Planning programs for Energy, Environmental Coordination, Solid Waste, Transportation, and Water Resources.